Rafael Nadal, of Spain, celebrates after defeating Dominic Thiem, of Austria, during the quarterfinals of the U.S. Open tennis tournament, early Wednesday, Sept. 5, 2018, in New York. 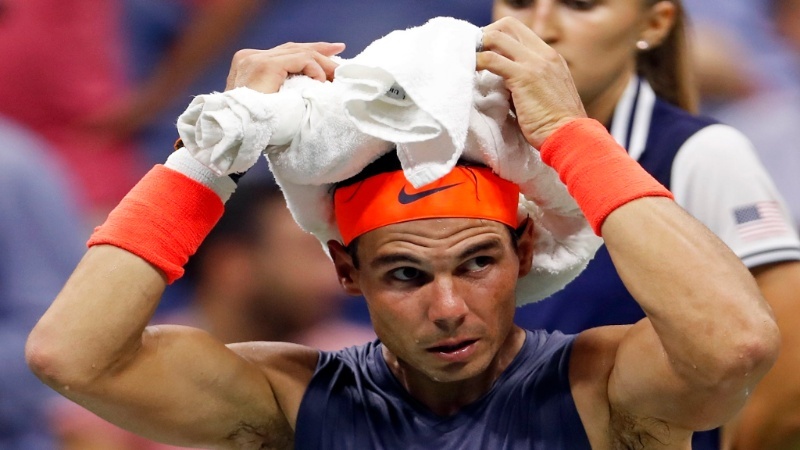 US Open champion Rafael Nadal overcame a rare bagel and a relentless challenge from Dominic Thiem in an epic five-set quarter-final clash lasting almost five hours in New York. World number one Nadal had only lost a set 6-0 at a grand slam on three previous occasions – the 2015 Australian Open, 2006 Wimbledon and the 2004 US Open – but that changed against rampant ninth seed Thiem in the opening set on Tuesday. But in a titanic battle worthy of a final, with stunning winners on both racquets and breathtaking defence, top seed Nadal rallied to outlast Thiem 0-6 6-4 7-5 6-7 (4-7) 7-6 (7-5) in the longest match of this year's tournament – four hours and 49 minutes. 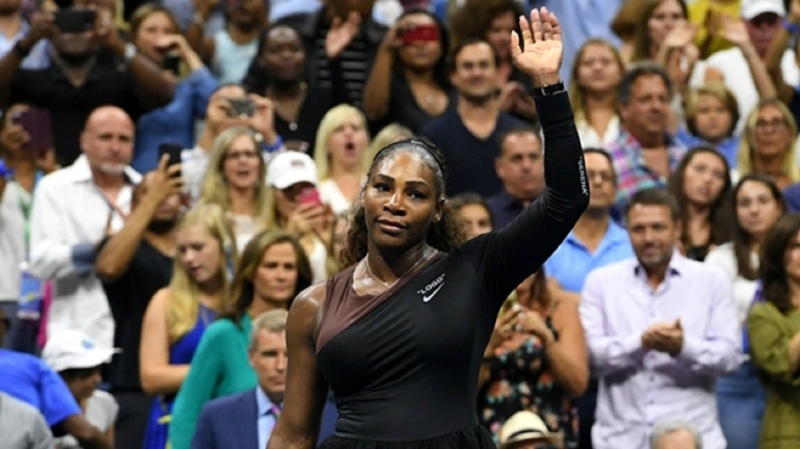 The clocked ticked past 2am at Arthur Ashe Stadium, where fans stood on their feet and applauded every point as 17-time major champion Nadal surpassed his four hour and 23-minute contest with Karen Khachanov in round three to earn a semi-final showdown with Juan Martin del Potro. Rafael Nadal, of Spain, sits during a changeover in his match against Dominic Thiem, of Austria, during the quarterfinals of the U.S. Open tennis tournament early Wednesday, Sept. 5, 2018, in New York. Nadal was completely dismantled by Thiem in the first set as the American crowd was shocked into silence in New York, the Austrian hitting vaporising forehands and backhands to wrap up the opener in just 24 minutes – tallying 13 winners, five aces and 24 points in total compared to just seven from the former. Spanish star Nadal – facing his fellow seed away from clay for the first time after 10 previous meetings – was 30-29 when losing the first set at a major but he rediscovered his best form to level the match, rising to the challenge by converting both break-point chances – having earned none in the first set – to halt the red-hot Thiem. Thiem – with his girlfriend and fellow tennis player Kristina Mladenovic watching from the stands where Hollywood star Ben Stiller was also present – played well, however, Nadal was just too good as he executed the third of three set points on his opponent's serve to claim the momentum. Most players would have been left deflated after falling behind in such a manner but Thiem was not in that category – the former world number four raising his game another level to take out the tie-break, having surrendered 3-1 and 4-2 leads against Nadal, who saved six break points in the set. 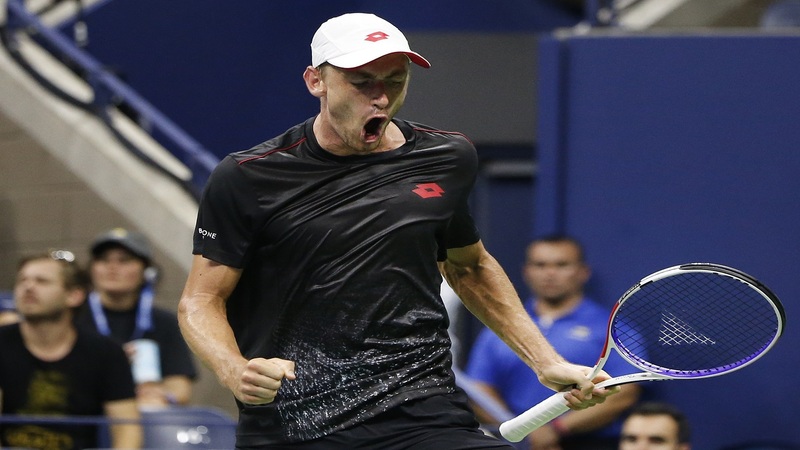 The marathon tussle continued in the fifth and final set, Thiem fending off a triple break point by coming from love-40 down to make Nadal serve to stay in the championship and three-time US Open winner did before prevailing in a do-or-die tie-breaker.